Monica Ricci is responsible for raising awareness and generating excitement about all of Opera Viva!’s offerings to audiences around the world. Monica has loved to sing as long as she can remember, and is a diva estraordinaria in her own mind, in the shower and while driving in the car. She is the biggest fan of Opera Viva! students and alumni, and has been known to travel to distant cities to see former students perform (she’s the one shouting “bravi!” the loudest). During the year, she manages Opera Viva! messaging and marketing across print and digital platforms and drives social media engagement. During the summer in Verona, Monica assists the faculty and administration to ensure the students have everything they need to focus on their studies. During workshops and rehearsals, when she doesn’t get lost in the music and forget her job, she photographs the Opera Viva! experience. She liaises with the Verona community to generate audiences for the students’ public performances. She is always available to practice Italian conversation with the students or accompany them into Verona’s historic center for a cappuccino, a gelato or a Spritz (she will always order the more bitter Campari Spritz but doesn’t think less of those who stick with Verona’s traditional Hugo Spritz). Monica is responsible for the Professional Development and Bravo Club programs, engaging music educators and opera fans who come to Verona for behind-the-scenes involvement with Opera Viva!’s faculty and students alike. 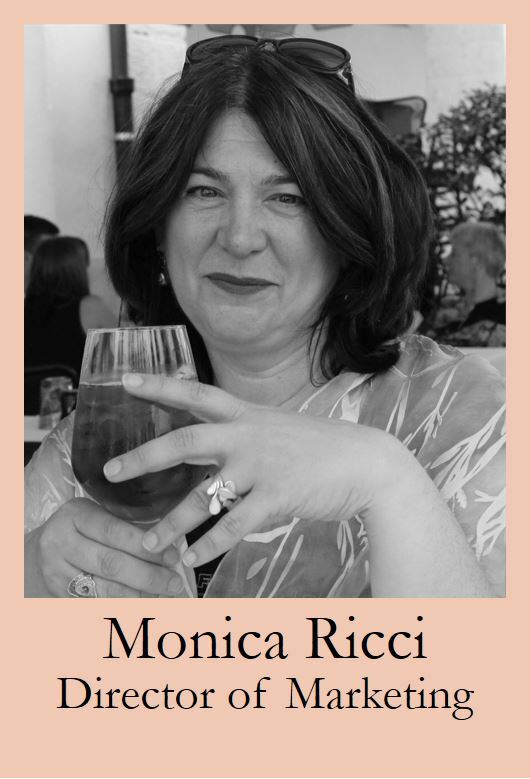 Monica is a soprano II in the San Francisco Lyric Chorus and serves on their Board of Directors.